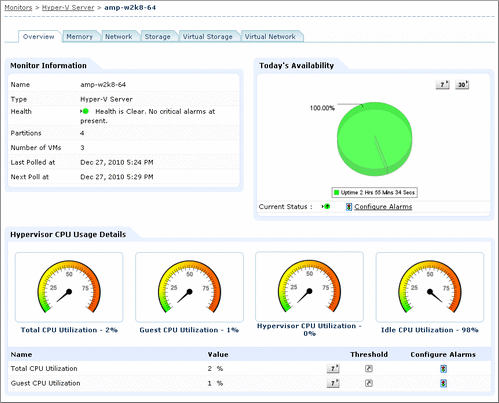 Applications Manager also provides visibility into the resource utilization of Hyper-V infrastructure, which in turn helps in capacity planning. With the aid of end-user monitoring, the IT team can gain valuable insight into the user experience, both before and after a virtualization project. 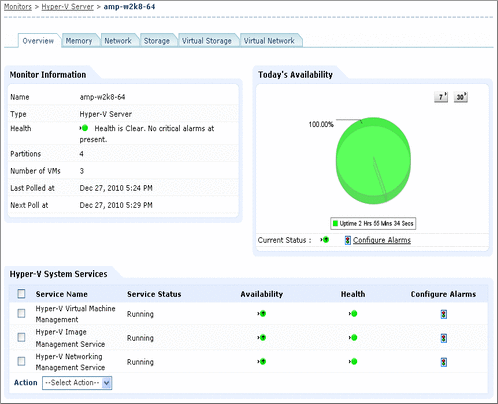 The Hyper-V monitoring feature, along with support for VMware monitoring, helps you manage virtualization solutions from multiple vendors using a single management console. 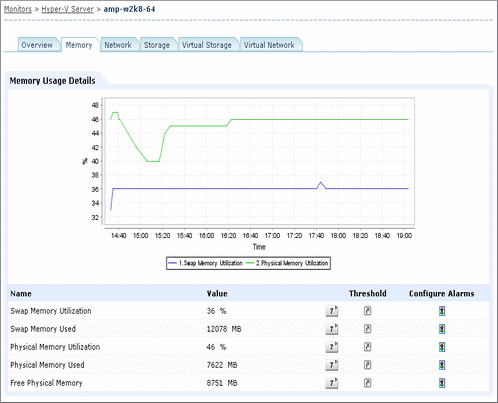 Know which resource is consuming more CPU. 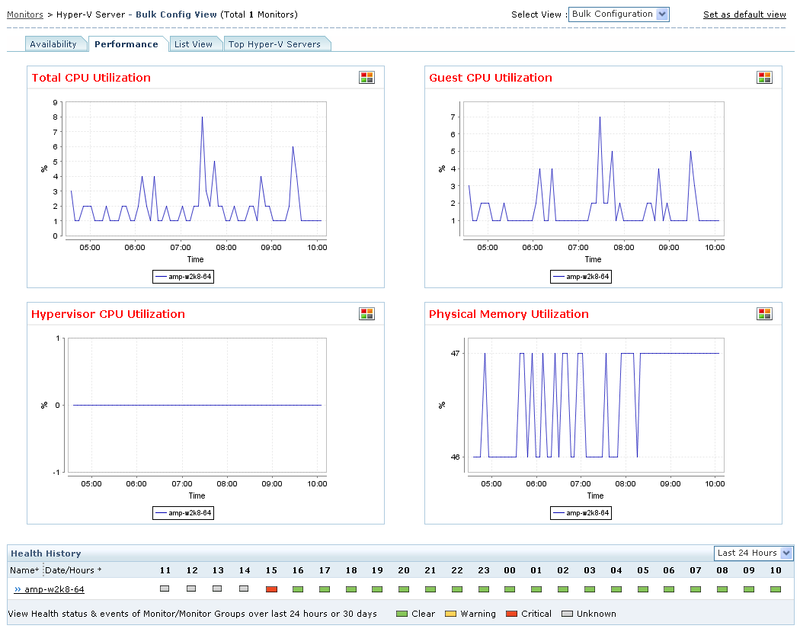 Find out if CPUs are running at full capacity or are they being underutilized. 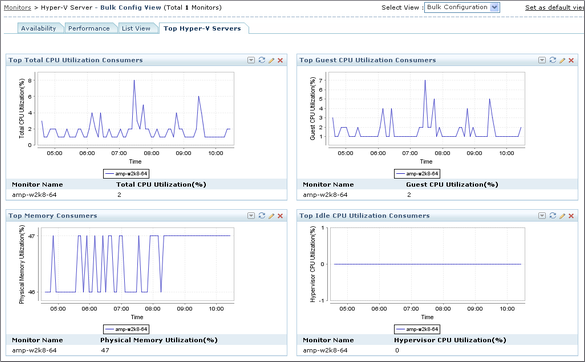 Metrics shown include otal CPU utilization, Guest CPU utilization, Hypervisor CPU utilization, idle CPU utilization, etc. Proven solution - Applications Manager was finalist in Best of InterOp 2010, under virtualization category.